Before I created Lightworkers Lounge, I was a Certified Integrative Health Coach from the Institute for Integrative Nutrition. 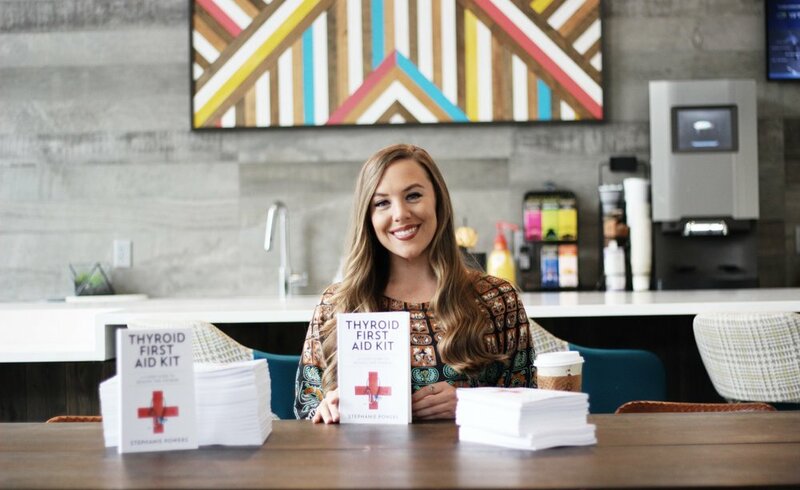 I spent my days helping clients in person and over the phone reverse their thyroid imbalance, hashimotos, graves disease, and even goiders on the thyroid. I helped infertile women achieve pregnancy. I even helped women avoid major surgery where they risked losing their entire thyroid gland! I absolutely loved what I was doing. I finally felt like I was spending my days making a difference in the world. What I appreciated most was that I finally worked on my own schedule. I controlled how much money I made. I could work from home and take calls when I wanted to. I could drop what I was doing to go watch the moon rise over the ocean, or take a long lunch break to meet up with friends without having to worry about rushing back to an office to clock in. It was exactly what I always dreamt of doing, and I’m so thankful I have a platform where I can share how to create a life like this with the world. We all deserve happiness and fulfillment. A lot of people in the Lightworkers Lounge community have expressed interest in a career that involves Holistic Healing. Whether you’re interested in becoming a yoga instructor, reiki therapist, personal trainer, maybe even a vegan connoisseur! Or if you just want to become an all around mind/body health coach like I was, IIN will help you get there. The main reason why I love this school is because they teach you how to be successful on your own. They will lift the veil on the food and medical industry to teach you how to become your own best doctor. But most of all, they want to teach you how to become your best self. 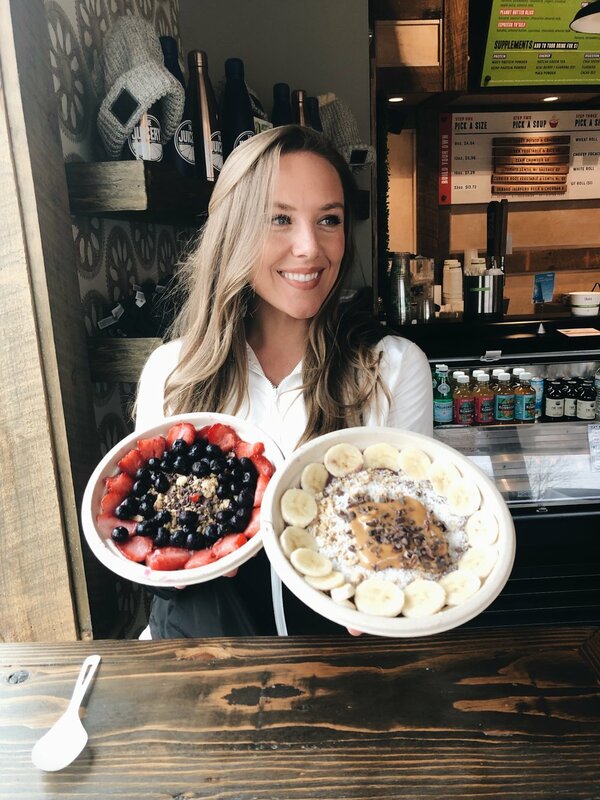 How to fulfill your ‘primary food’ which is having a rich, abundant emotional life through balanced relationships, a successful career doing something you love, and great finances. Below I answer some of the top questions I receive regarding the program at IIN. As a member of the Lightworkers Lounge community, you receive a sweet discount off the price of tuition. Who are the teachers at iin? what do I learn there? IIN is totally not like a traditional University. There are no set in stone teachers. They have a rotating roster of different speakers from all walks of life in the holistic industry. Visting speakers, as they call them. Some of my favorites were Gabrielle Bernstein (Author of ‘The Universe has Your Back’) David Avocado Wolfe, and Vani Hari aka ‘Food Babe’ — these three gave me “truthbumps” every time I watched their video lectures! The program at IIN is one year long. The first six months of training you are learning all about ‘Secondary’ food as they call it — carbs, fats, calories, gluten, etc. Have you ever wondered why some people are so allergic to gluten? Or why the dairy industry is losing billions in profit? IIN will break it down. The last six months of the program is where it gets fun. You learn about ‘Primary’ food — which as I mentioned earlier, are things like career, finances, relationships, and spirituality. IIN tells you in the beginning of your program that they want you to be successful. They do not want to lead you to graduation then toss you out into the world. During the last 6 months of your program you will learn how to establish a client base. You will learn how to work for yourself and run a business. How to design a website and business cards! They give you all of the tools you could ever need to stay organized, but also all of the handouts you need for coaching clients! You literally have everything you need at your fingertips. On top of all this, they have supportive groups on Facebook where you can ask Ambassadors from IIN or fellow classmates all the questions that come to mind throughout your classes. Towards the end of the program you will join a support circle, where you and about 8-10 other classmates jump on a quick, weekly call to discuss how things are going and what you’ve been doing to reach your goal of working for yourself. I was a bit nervous for this part of the program, but found myself shedding a tear as I had my last call with my group! They turned out to be my soul fam. My tribe… I had never felt so safe and free to be myself over the phone with a group of strangers who all shared the same point of view on life as me. I remember IIN saying at the beginning of the program that their goal is to have you working with at LEAST 1 paid client before you graduate. 6 months into the program I had 2 paid clients and was offered a part time gig at a local holistic wellness shop. where do you attend classes? how long is the program? IIN is done completely online from anywhere in the world! They are physically located in New York City, so if you live in the vicinity, you are more than welcome to attend conferences in person at their school. However, the vast majority of people are from all over the world and attend by watching the video lectures every week. The program is 1 year long. You have weekly modules to complete which consists of watching videos and answering a few questions (a “quiz”) at the end of each week. No papers to write! No scary exams! what happens after i graduate? How do i find my niche? For me, finding my niche stemmed from being diagnosed with an autoimmune disease myself. In 2014 I was diagnosed with Hashimotos Thyroid Disease and while the doctors wanted to remove my thyroid and get me on medication for life, my intuition told me NO. I went home and completely reversed this disease in a year, with zero antibodies found in my blood the next time I was tested. The diet and lifestyle changes I had to make to do this were really simple. I couldn’t stand the fact that so many women were walking around taking pills every day when they didn’t need to. I actually avoided enrolling at IIN for so long because I ‘didn’t have the money’ newsflash: don’t operate from a lack mentality when your intuition is telling you something. Leap and the net will appear. Finally after receiving so many signs and synchronicities from the Universe I enrolled…and my only regret is I didn’t enroll sooner. After graduation you work on continuously establishing your client base. If you find that you prefer working for someone else (because let’s face it, working for yourself is a whole new ball game and can totally be too stressful for some. And that’s okay!) just having the Certification from IIN opens so many new doors. Like I said earlier, before I even graduated I landed a gig at a local holistic wellness shop. I was learning so much about natural supplements and helping regulars who came in the shop find their path to wellness. It felt so good to finally work in an industry I had passion for. A lot of my fellow graduates have gone on to work as health coaches at major corporations, holistic wellness centers, and even became reiki therapists or massage therapists. The sky is the limit! IIN changed my life. Flipped my world upside down and realigned me with my truth. What is your intuition saying to you right now? Don’t ask for signs then ignore them…. Click the banner below this to sample a video lecture from IIN to see if they resonate with you. Click this banner for a free class to see if IIN resonates with you!